Thip Samai Pad Thai is raved as one of the best Pad Thai in Bangkok not only among the Tourists but also the locals. They have been around since 1966 and is always packed with snaky queues without fail. I'm glad that my Thai pal had suggested to bring us here for a dinner during our recent trip to Bangkok. To avoid the crowd, we reached the place rather early at about 5pm plus in the evening for dinner. Luckily the queue was not that long. While waiting for our orders, we enjoyed cups of Icy Coconut Juice while catching up. The Coconut Juice was cooling and refreshing. They were served in cups of melted ice make of coconut juice. Thipsamai pride themselves as the origin of Padthai that uses shrimp oil and various thai herbs to achieve a perfect flavour. Known for its variations of Padthai served in Thip Samai Pad Thai Shop, we ordered its basic version to have a try of how traditional the padthai is. 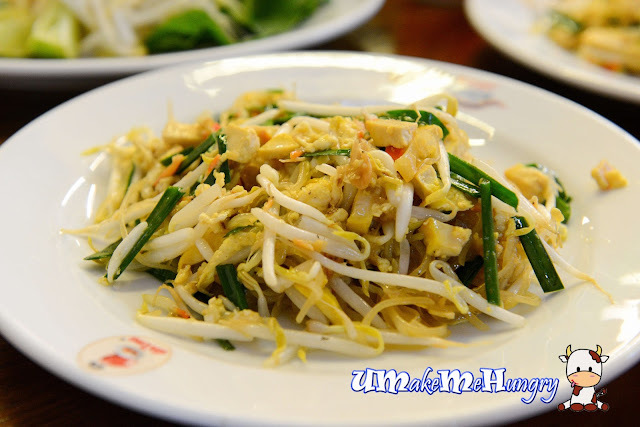 Padthai is regarded as one of the staple dish for Thai, however there were just too much ingredients in the dish that often, the locals would rather choose to buy from outside than to spend long hours of preparation at home just to cook a dish like that. On the first mouthful of the Padthai, I can totally comprehend why people are regarding it as a "Must Visit" place in Thailand. The sweet and aromatic dish was well combined with various seasoning and ample of ingredients, giving a consistent taste. The noodles had a special charcoal charred flavour which I felt is the highlight since most of us cook noodles under the gas stove nowadays. And should you prefer even stronger taste, feel free to help yourself with chili flakes, crushed peanuts, fish sauce and sugar that is available at every table. 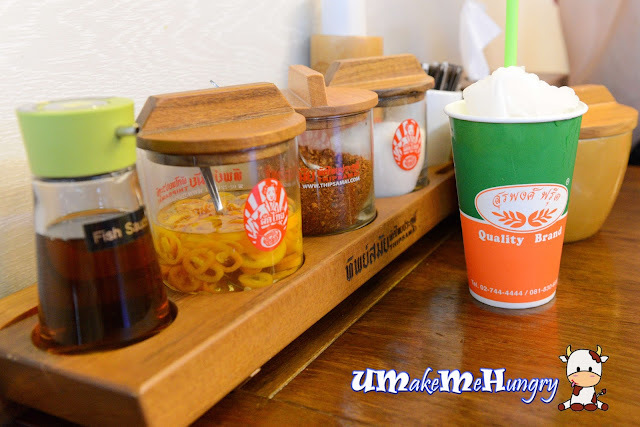 If you are looking for other food in there, you got to be disappointed as they sell nothing else except Padthai. Superb Padthai is recommended by numerous TV programs like MasterChef, Lonely Planet, BBC, theguardian and even National Geographic. 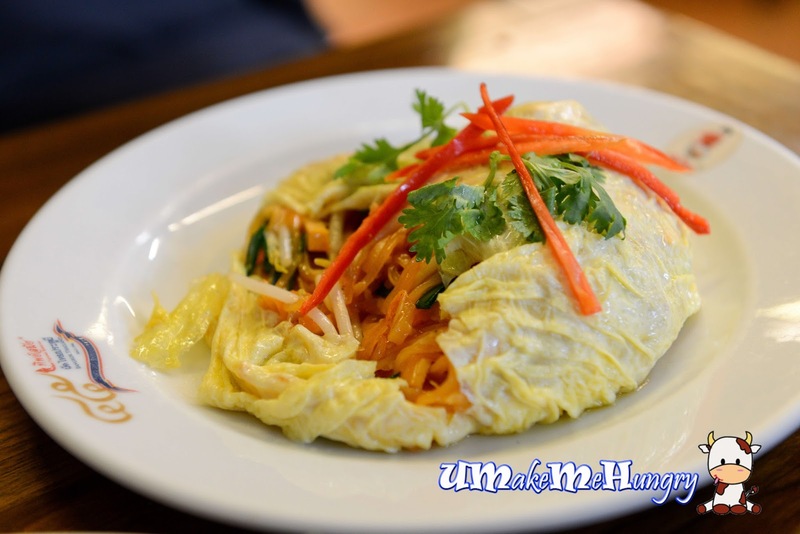 The presentation is totally familiar to us (if you are an asian - it looks like Nasi Pattaya) as the Padthai noodles were nicely wrapped up in a beautiful yellow egg. Unlike the basic padthai, shrimp oil was used over here which gave the noodles a orange coated appearance. Fresh deep sea prawns were used too. Don't miss it while you are in Bangkok! Some thoughts might be running through our minds if that is a tourist trap, my answer will be a straight no as I still find that the pricing reasonable for a plate of noodles like that and worth at least a try. 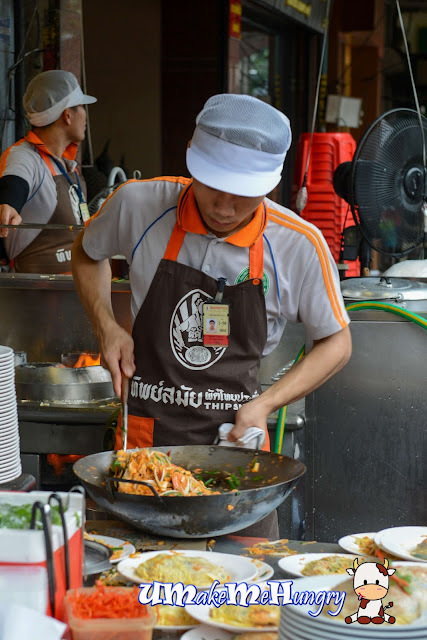 Through the words of the locals, I understand that Thip Samai Pad Thai may be not the best in Bangkok as they find the taste might be a little too bland for some. However, at least in a tourist point of view here, I find the noodles scrumptious.